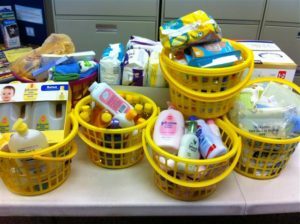 One way you can get involved – begin to collect needed baby items for the New Baby CARE Package, a project of Healthy Families Northern Shenandoah Valley and the United Way of Northern Shenandoah Valley. How can YOU help children and families in our area? Volunteering is a great way to contribute to the community, to learn new things, meet new people and most important, to have some fun! The volunteer program at Healthy Families NSV is geared towards getting people within the community involved in a variety of programs and events held for our families throughout the year. Volunteer opportunities are available for a variety of special events/activities. Many of these events occur in the evenings and on weekends. Sara Schoonover-Martin at (540) 536-1661. You will be contacted to discuss upcoming volunteer opportunities and ways you can make a difference in your community!